Weight loss and having a healthy body are more than a goal or new year’s resolution, it is an entire industry. Finding an effective service that offers this can be tricky. Here at Puravida we have the solution! What is body sculpting and how does it work? Body sculpting is one of the most advanced systems on today’s market. This revolutionary procedure takes us to a new level, offering outstanding slimming results and better skin texture. This new technology allows you to lose those unwanted inches and cellulite by breaking down fat cells through tools such as the Ultrasound Cavitation, Radio Frequency and Vacuum Suction. Click a tab below to read more. Ultrasound cavitation emulsifies your fat during the treatment, making it easy for your body to expel it through the urinary and lymphatic systems. Put simply, body sculpting is a weight-loss treatment that uses low frequency ultrasonic beams, which bursts the local fat deposit. It selectively disrupts the fragile fat cell membranes, through thousands of microscopic implosions therefore increasing its permeability. This procedure is completely painless and safe. It does not affect the nearby tissues, arteries or peripheral nerves. Its completely painless and free of harm. Vacuum Suction is the last process within the treatment. Our vacuum suction head also has a small RF band around it. Vacuum Suction pulls up the cellulite by vacuum suction power and shakes it while the treatment probe is in contact. This function will encourage the lymphatic system for toxin removal. The Vacuum Suction also stimulates collagen regeneration and reconstructs the elastin fibres so that the fatty deposits can be relocated. This effect will reduce the noticeability of “lumps and bumps” of cellulite. Tightened skin and reduced appearance of cellulite. Reduced circumference in the treated area. The exact number of treatments will vary due to factors such as age, weight and the area being treated. We recommend a course of six one hour sessions., each session an hour long. Which areas are most effective to treat? All those areas with localised fat: thighs, abdomen and buttocks are the most appropriate however, there is no limitation as to areas that can be treated on the body. Yes, this is a non-surgical procedure without anaesthesia, it is non-invasive (no cutting , leaves no scars or the need for any post-operative course) and no down time is needed. No, body sculpting is a painless treatment. Some find the vacuum suction uncomfortable but tolerable. Is there anyone who cannot receive this treatment? If you have any other medical concerns, please feel free to discuss this with us. This is not a weight loss program, it is designed to help reduce stubborn fatty deposits. For the best results we recommend a healthy diet. We also recommend drinking at least 1.5 litres of water after each session. Drinking water is necessary to eliminate toxins. Regular exercise should also be maintained to help the system naturally process the fat after the treatment. 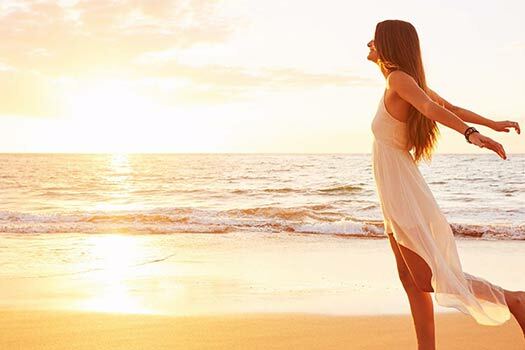 Unlike traditional liposuction there is no injections, anaesthesia and no down time, making it the perfect treatment for the removal of fatty deposits and cellulite. This procedure leaves the skin looking smoother and more youthful. 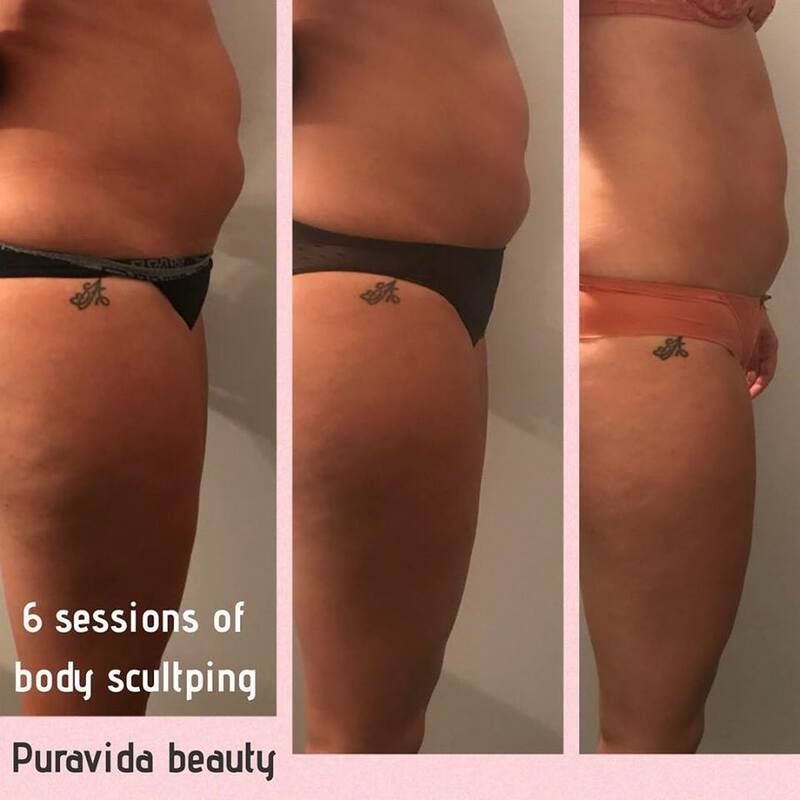 So whether you are looking for help around the stomach, thighs, arms, back or any other area you aren’t happy with, body sculpting with Puravida is the answer!